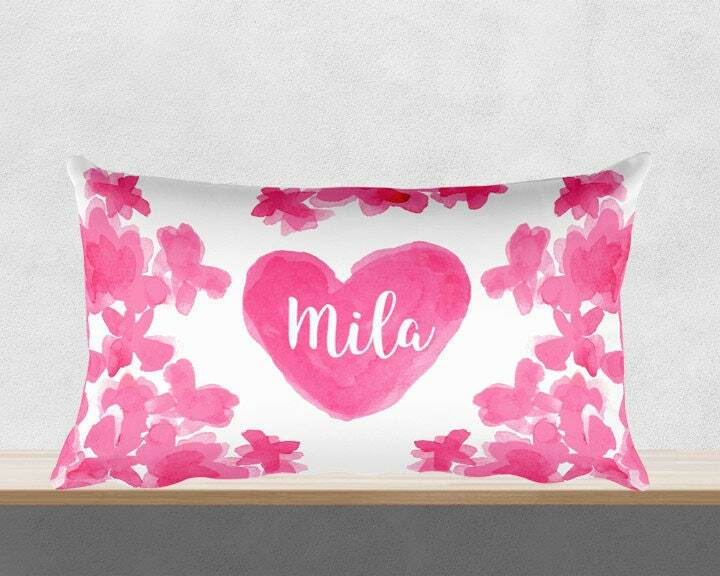 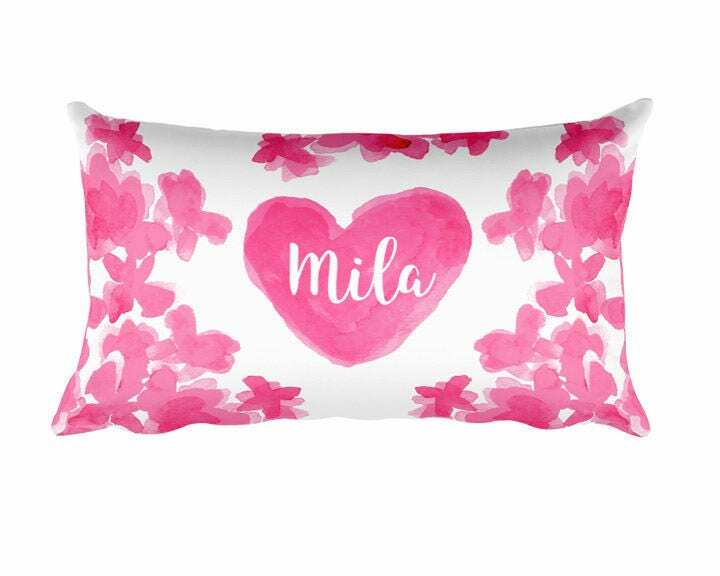 This personalized pink decorative pillow is covered with floating flowers and a personalized heart. 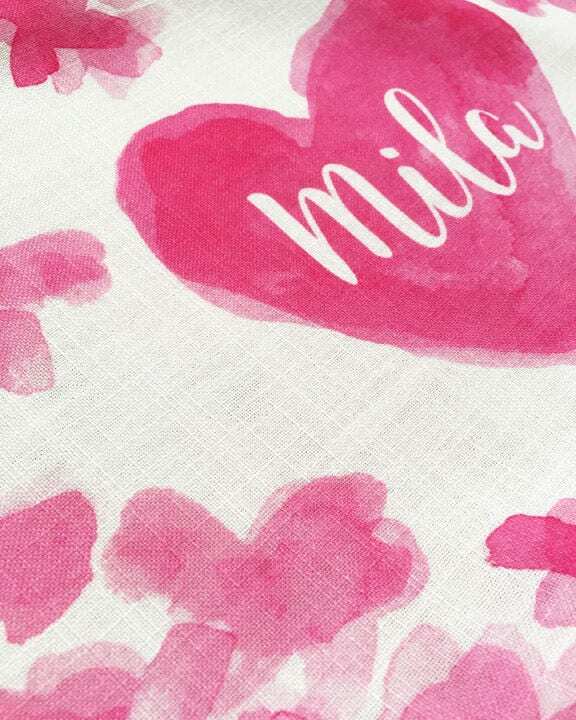 The print is based on my my original watercolor paintings. 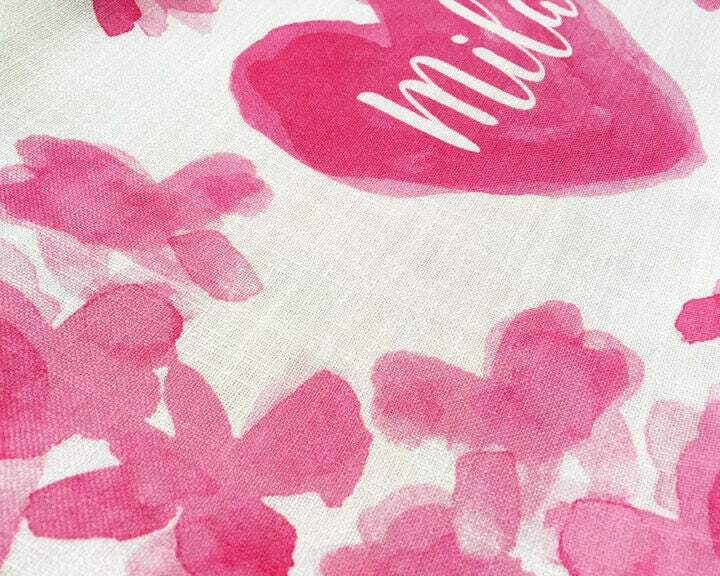 I love how modern digital printing can capture all the nuances of the original paintings. 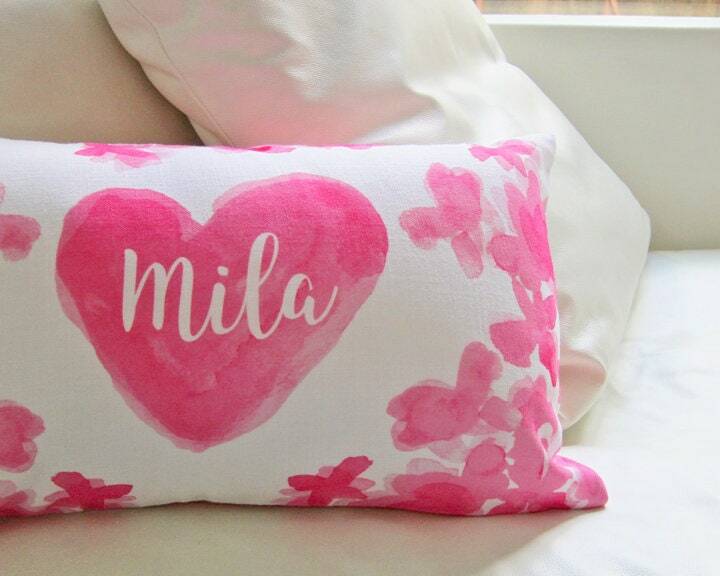 It would be a great gift for a young girl's room.